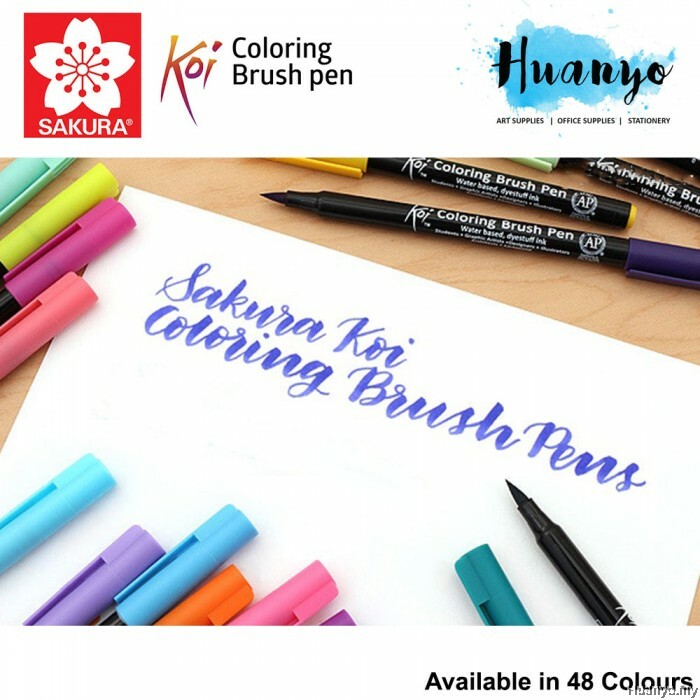 Use these Koi coloring brushes to add vibrant color to any sketch, journal, cartoon, illustration, or rubber stamps. 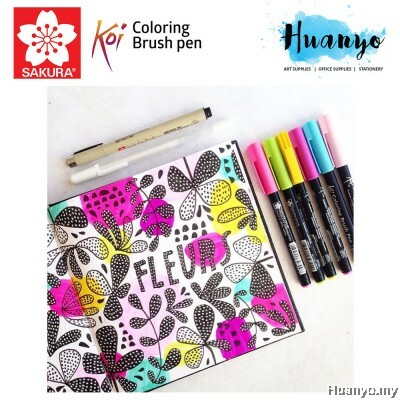 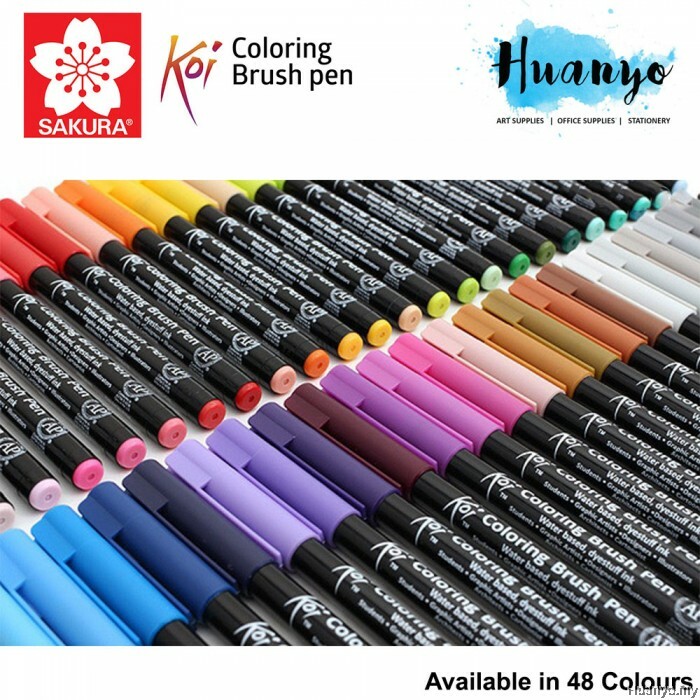 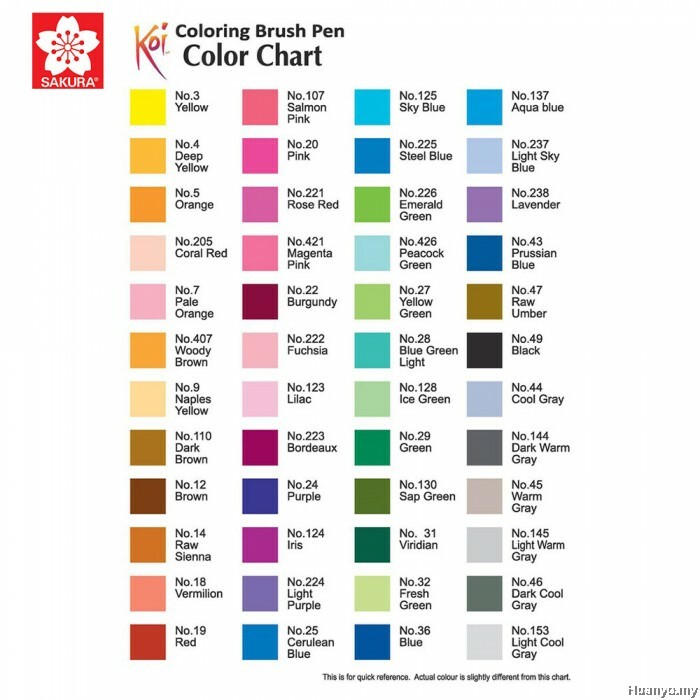 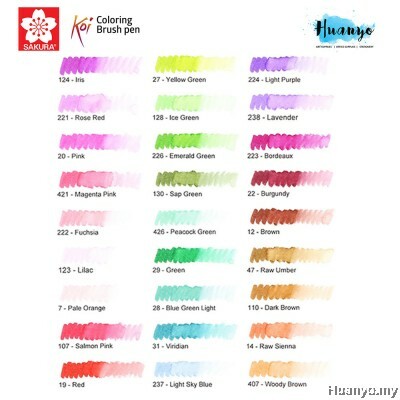 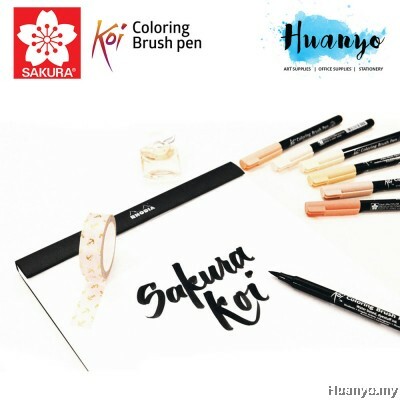 They perform similarly to an artist brush and feature bright, dye-based ink. 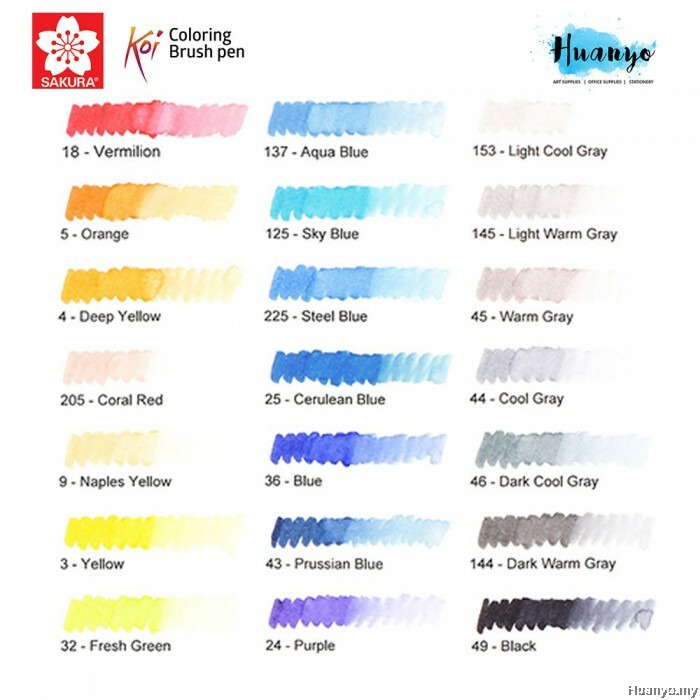 By changing the amount of pressure on the tip, you can create fine, medium, or broad strokes. 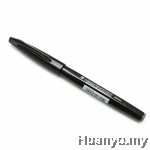 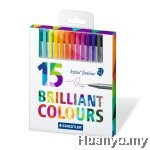 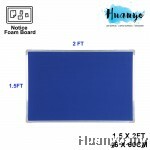 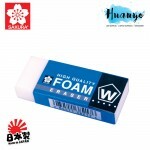 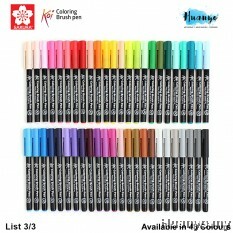 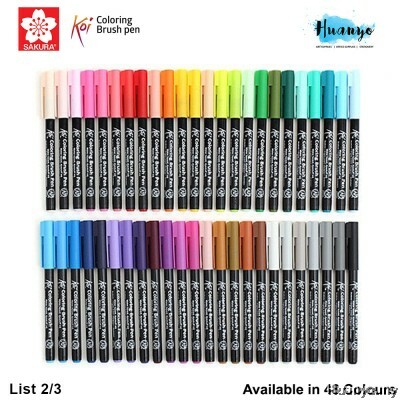 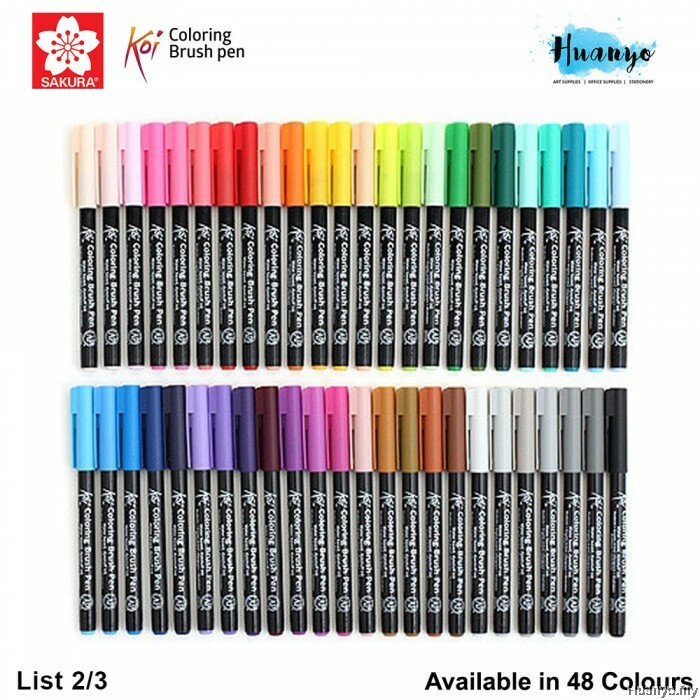 The felt tip is durable and springs back quickly to its original shape. The odorless, water-based inks can be layered or blended using a colorless blender brush marker to create seamless gradations. Please enquiry us for other lists of the colours.